Whether you need transportation to the airport or to the doctor, CTS Taxi is here to help. 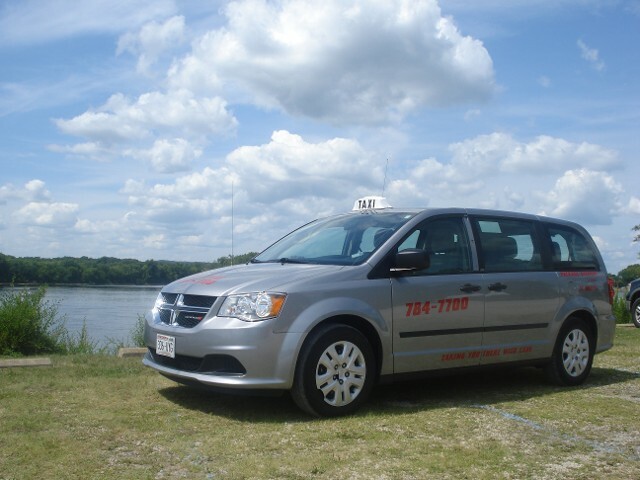 Our professional drivers offer taxi services throughout the surrounding areas of La Crosse, Wisconsin, even offering wheelchair accessible vans to ensure everyone can always arrives at the destination conveniently. Our professional drivers provide transportation to the airport, your job, a fun night downtown, or to a medical facility. We even drive children and college kids to school as a safer alternative to a public bus. For time sensitive transportation needs calling a day a head of time is the clients best bet to insure a garanteed pick-up-time, although sameday reservations are welcomed. We have a ten-cab fleet as well as seven-passenger vans to cover your every need. Our associates do everything possible to accommodate everyone. Therefore, we offer additional wheelchair accessible vans for getting clients to the airport, medical appointments, their job, events, and more. These book up fast, so please call us at least 24 hours in advance. Contact us to receive affordable and secure taxi cab services.